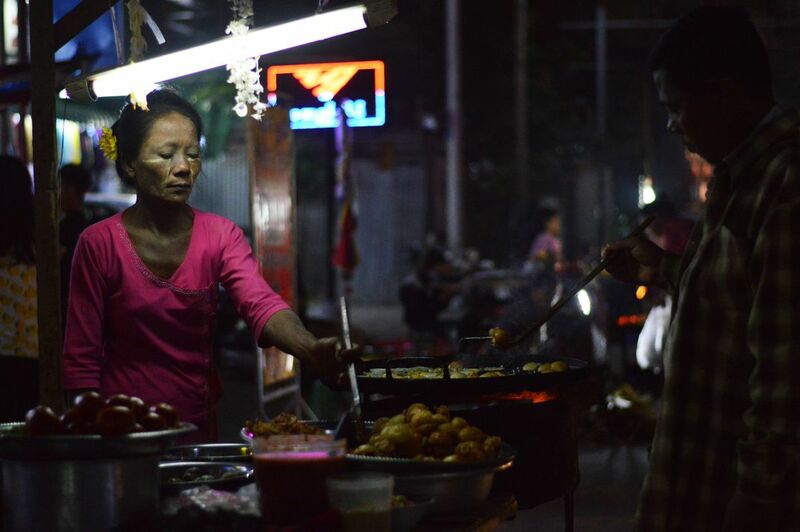 A female street vendor, dons the traditional burmese cosmetic, Thanaka while working late at a market in Mandalay, Myanmar. Thanaka is a holistic cosmetic used to remove wrinkles and lines, lighten skin, and protect skin from the sun. Date Uploaded: April 3, 2016, 4:45 p.m.